It sometimes seems to you that only a miracle can clean your property? 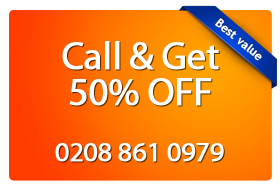 You can easily contact Magic Carpet Cleaning, just use telephone 0208 861 0979. If you live in Kensington W8, we will completely clean your home or office carpet. We use all innovative solutions that enhance the quality of services in the area of neatness. Our teams are trained to remove even old soil from the fabrics. You get 100% assurance that we will work until you approve the results. We care for the environment and your health, so we use only 100% safe eco-friendly products. Our company policy is based on trust and transparency in the signing of contracts. The training of our staff includes passing specific courses, allowing them to receive a certificate. We in Magic Carpet Cleaning use hot water extraction to destroy all allergens found in your rugs. The dusty cloths are treated at a high temperature and with professional spray cleaners. Then they are vacuumed up, killing microbes with hot water extraction. If you are prone to allergies or have children at home, this approach is the most appropriate one for you. You can be confident that we have the necessary specialists and equipment to perform cleansing of your house or office. Steam Carpet Cleaning is a recommended one and one of the most effective ways to clean a carpet. 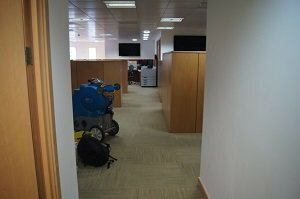 Dry Carpet care is most commonly used in removing dirt from carpets in offices and business buildings. In the present method no water is used, which facilitates the passage of people. It does not require time for the textile floors to dry. Lack of water vapor prevents the formation of mold, and the tissue life is prolonged. Our specialized teams use detergents in the form of powder. They rub them into the fabric, and then extract them by vacuum. We use products that are 98% biodegradable and thus protect nature. If you want a thorough washing of your residence, you can contact our experts at 0208 861 0979. We can provide high quality services in removing blemishes and dirt from homes, offices and stores for you. Our employees are prepared to face problems of all kinds – coffee, traces of pet urine, wine, food, chewing gum, chocolate, etc. We treat natural and artificial materials by protecting them from wearing out. We can assure you that all of our teams are composed of people who have completed the required courses in cleaning and hold certificates. They are able to work with specialized equipment and chemicals – acid, alkaloids, etc., to achieve the best results when cleaning your homes and offices. The magic of a clean home is contained in three words: Magic Carpet Cleaning. Call now and schedule a meeting with our qualified cleansing staff, who will bring back the glamor of cleanness to your life!